Your Last Will and Testament must meet the probate court requirements set forth in your state's laws; otherwise, your statement of your final wishes and directions may not be used in court. Probate proceedings are used to legally settle your estate after death if there's a valid will. A will that does not meet state requirements may not be admitted for probate. Your will must be in writing in some states, like Maryland, to be admitted to probate. The will does not have to be typed; a handwritten will may be acceptable, but the court must make decisions on words if your handwriting is not entirely legible. You may record your will on audiotape or videotape in order to prevent questions about your competence later when your estate is in probate, but a video or audio will alone may not meet the validity requirements under your state's probate laws. Your Last Will and Testament must be signed by you. If you are unable to physically sign the will, you may be able to direct a person to sign for you, but proof of your consent must exist and the signing must be done in your presence. 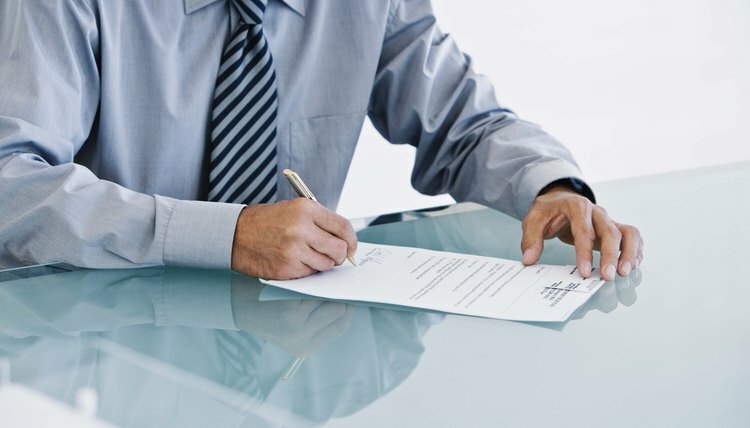 Some states require the will itself to include a note that the document was signed by someone you selected; if someone does sign for you without notation or documentation, your signature may be contested by your heirs. Your will must be witnessed by the number of individuals specified under your state's probate laws; many states commonly require two witnesses. The witnesses must be mentally competent and considered an adult in your state, typically age 18 or older. The witnesses must see you sign the will and sign the document themselves, usually in a designated witness section at the end of the will. Some states do not have laws preventing beneficiaries from witnessing a will, but having one of your heirs sign your will as a witness may open up your will to be contested by other heirs in the future. An executor or executrix is the person who you designate to manage the affairs of your estate. The executor carries out the directions and provisions in your will, distributes items and money to your heirs and manages the assets of the estate. Some states require you to name an executor in your will in order to open legal proceedings for your estate. Your heirs may be able to obtain a court order allowing a person to act as the executor, but his ability to fulfill the duties may be more limited and restricted by the court than if you had appointed him.